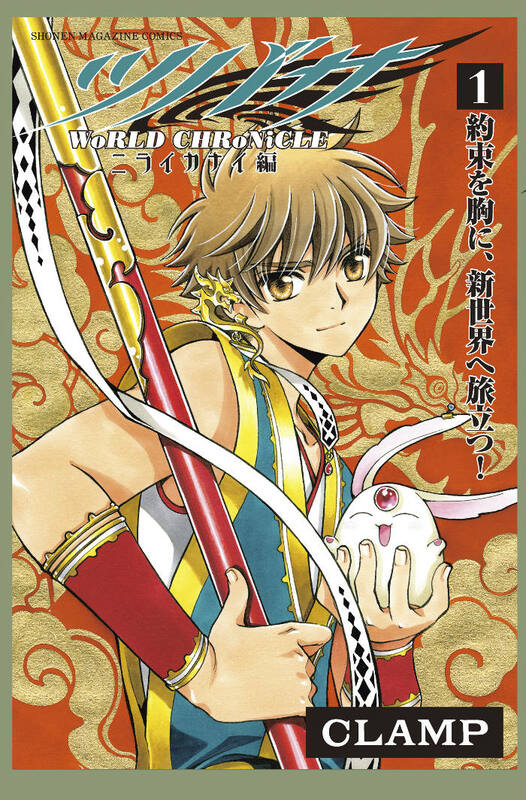 On its first week of release, Tsubasa – WoRLD CHRoNiCLE – Nirai Kanai hen #1 debuted at the 6th position in Oricon’s weekly comic ranking, with 127.643 copies sold. For comparison’s sake, volume 28 of Tsubasa – RESERVoir CHRoNiCLE – sold 195.137 copies on its first week, while volume 27 sold 99.997 copies. A very shy comeback for Tsubasa, I would say. Even shyer than the performance of XXXHOLiC Rei, which was already dropping by each volume (you can check a full report here). In case Tsubasa shows up again next week in Oricon’s ranking, I’ll post here about its performance. And I’m not too worried about the numbers really: years ago, when TRC goods (books or whatever else) were scheduled for release, I pre-ordered them months in advance, but now I am a lot more…’cool’ about it? Which doesn’t mean I’m not buying this volume! But I just don’t throw myself on it from the first day haha~ I think there must be many more fans like this, and the first weeks performance might not have as much weight as it seems. Sure, there is still next week performances, but I don’t know, it seems to me that XXXHOLiC and Tsubasa are no more what they once were in terms of popularity.